As part of my interest in the stained glass of St Mary's, Mirfield, I have been attempting to find out more about the families who placed the memorial windows. 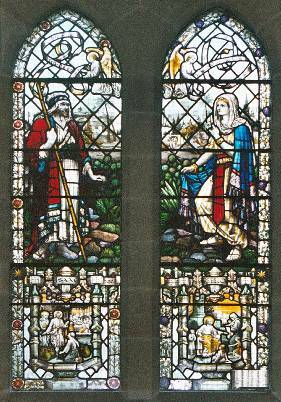 One of the windows was placed by the children of George Hirst and Elizabeth Hebblethwaite on 8th September 1914. The window depicts Isaac and Rebecca. I would like to communicate with Deb Walker to be sure of which members of the family are actually remembered in the window. I attach a photograph of the Hebblethwaite window.